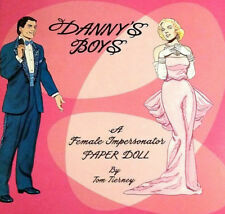 DANNY'S BOYS A Female Impersonator Paper DOLL Book MINT CONDITION! Best Price! It's the silent film era--the three-decade period at the beginning of the 20th century that gave birth to the film industry, Hollywood and movie stars. This is a vintage paper doll ribbon art picture. Framed, it measures 12” X 9”. The frame is metal and original to the piece. It is in good condition with only slight wear. This is a BEAUTIFUL UNUSED paper doll set VICTORIAN ROSES & LACE by paper doll artist Carilyn Teichman. Made in the U.S.A. VICTORIAN ROSES & LACE. There are 6 pages of LOVELY uncut Victorian outfits, including a bridal gown. Here are nine sheets of black and white paper dolls, from the Spinning Wheel, a national antique magazine located in Hanover, PA.
Unused & Uncut. The outside cover may show slight shelf wear from age. Title : Pretty! Dolls of Washi Paper. Origami Doll,Fairy tale Doll and Mini Washi Doll. Language : Japanese. Very Rare Book! This book is a secondhand book. Condition of Cover :Fine. 80-90%: Fine. Title : Washi Paper Doll. Language : Japanese. Condition of Jacket :Fine. Very Rare Book! This book is a secondhand book. 80-90%: Fine. Book Size : Height 9-1/8" ,Width 7-1/4". Author : Takeo Iwashiro. New/Factory Sealed. Set contains one sheet as shown in picture. 11.75 in x 8.5 in. Title : Shikishi Ningyou. Language : Japanese. Very Rare Book! This book is a secondhand book. Condition of Item :Fine. Condition of Cover :Fine. 80-90%: Fine. Book Size : Height 10-1/8" ,Width 7-1/4". 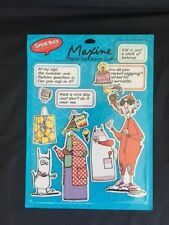 Maxine Magnet Set by Shoebox Division of Hallmark. This magnet set is factory sealed and in excellent condition. The price on the back has been marked out and the edges of the corners are very slightly bent. Another great estate sale find! Dress-Up Magnets, Real People by Erika Oller, Gladys, 2002, NEW! New / Factory Sealed. Coffee With Gladys. Dress-Up Magnets, Real People by Erika Oller, Published by Bottman Designs, Inc. One sheet as shown in picture. Dress-Up Magnets, Real People by Erika Oller, Gardening Irma, 2002, NEW! New / Factory Sealed. Gardening Olga. Dress-Up Magnets, Real People by Erika Oller, Published by Bottman Designs, Inc. One sheet as shown in picture. Dress-Up Magnets, Real People by Erika Oller, Golfing Olga, 2002, NEW! New / Factory Sealed. Golfing Olga. Dress-Up Magnets, Real People by Erika Oller, Published by Bottman Designs, Inc. One sheet as shown in picture. 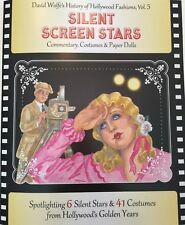 Dress-Up Magnets, Real People by Erika Oller, Safari Olga, 1999, NEW! New / Factory Sealed. Safari Olga. Dress-Up Magnets, Real People by Erika Oller, Published by Bottman Designs, Inc. One sheet as shown in picture. Paper Doll Books of Children Lot of 6. UnCut! The Shelter Animal Resource Alliance (S.A.R.A.) is a 501(c)(3) non profit organization based in the Eugene/Springfield area of western Oregon that is dedicated to removing felines from shelters where they might otherwise face euthanasia. New ListingDress-Up Magnets, Real People by Erika Oller, Betty, 2002, NEW! New / Factory Sealed. Cocktails With Betty. 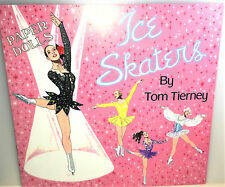 Dress-Up Magnets, Real People by Erika Oller, Published by Bottman Designs, Inc. One sheet as shown in picture. Kathy Allert Boy and Girl Paper Doll Lot of 6 Uncut! Kathy Allert Girl and Boy Paper Doll Lot. Japanese Boy and Girl. Spanish Boy and Girl. The Shelter Animal Resource Alliance (S.A.R.A.) is a 501(c)(3) non profit organization based in the Eugene/Springfield area of western Oregon that is dedicated to removing felines from shelters where they might otherwise face euthanasia. Dress-Up Magnets, Real People by Erika Oller, Tennis Irma, 2002, NEW! New / Factory Sealed. Tennis Irma. Dress-Up Magnets, Real People by Erika Oller, Published by Bottman Designs, Inc. One sheet as shown in picture. Two vintage paper doll books, Tricia Nixon and First Family Ronald, Nancy, Patti and Ronald Jr. These have never been cut or played with and have been carefully packed away. Some cover wear from storage and small crease on lower left corner of First Family book. Two interesting paper doll books from a bygone political time! Nonsmoking home. Will combine for shipping. New ListingVTG McCall's Betsy McCall Paper Doll DOG & 5 outfits Patterns 15267 new uncut ! Paper Doll BARBIE PRINCESS and her dresses. 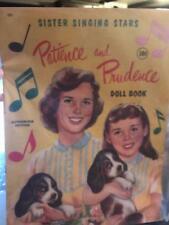 Cut out the doll on the book-cover and glue it. 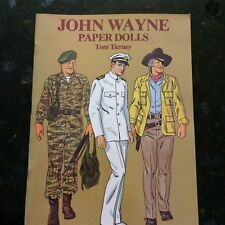 Paper doll book - 8 pages. Size book 23 cm x 17 cm / 9.05 inc x 6.69 inc. due to strict Custom Inspection. Each card is 2 1/2” by 2 1/2” square. Each tiny paper dolls has a wardrobe outfit on the card. This is a mix. You will get the all 32 of the Mini paper doll cards shown in the pictures. There are 32 miniature cards. No age spots to paper or fabrics, might be a bit faded. Backing has been replaced. There are 32 hearts each of the colors listed above. 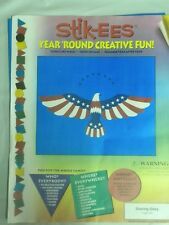 Stik-EES window clings are reusable year after year. They cling to any clean, glossy surface such as windows, mirrors, appliances, white boards, bath tubs and more. You are purchasing a Project runway designer doll kit, includes 72 pieces along with the project runway background. The kit includes Blonde hair. Amish Paper Dolls Book 5-1/2" x 8-1/2" 10 pages 4 Dolls in color USA Made!! Gifts and Wares associated with States on the Eastern Sea Board of the United States. Amish Paper Dolls Book. One each Amish Paper Dolls Book 5-1/2" x 8-1/2" 10 pages with. A paper on the Amish. 5-1/2" x 8-1/2" 10 pgs 4 Dolls. Project runway backdrop. You are purchasing Project Runway designer doll starter kit, 72 pieces. The set includes Black hair. 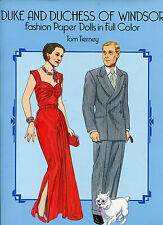 Lot of 2 Tom Tierney Paper Dolls. Richard M. Nixon and His Family. Abraham Lincoln and His Family. Stik-EES window clings are reusable year after year. They cling to any clean, glossy surface such as windows, mirrors, appliances, white boards, bath tubs and more. No Cutting. No Gluing. I have several different Stik-EES sets available. This is a Walt Disney Mickey & Minnie Steppin’Out Paper Doll Set. All pieces have been cut out and enjoyed by youngsters. It’s ready to be played with, no cutting, fussing, or assembling. Folder is 13”x10”. Title : Chiyogami Doll Guide. Language : Japanese. Condition of Jacket :Fine. Very Rare Book! This book is a secondhand book. 80-90%: Fine. Book Size : Height 10-1/8" ,Width 7-1/4". 95-99%: Near Mint. Dress-Up Magnets, Real People by Erika Oller, Betty, 2002, NEW!